There's 600,000 in the pot preflop with Terry Harper, Rob Schoder and chipleader James Lee looking on. The flop comes out 9-5-6 and by the time the betting is done, Harper and Schoder have all their chips in the middle and Lee has called the all-ins. 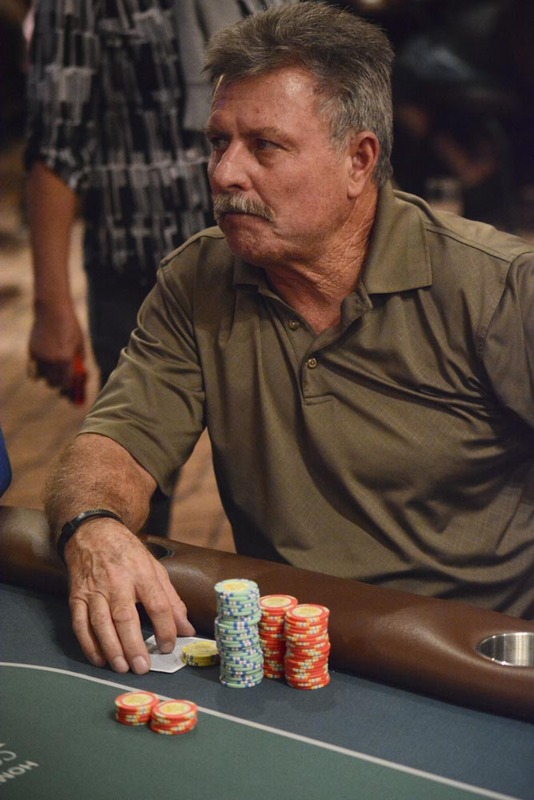 The turn Q changes nothing, but Harper catches Barry Greenstein, Ace on the River. The dealer counts down the stacks and Harper gets a triple-up, while the remaining 65,000 from Schoder's stack goes to Lee as Schoder is eliminate with his JJ ending up 3rd best.